Four years ago, on the approach to election eve, I made time to write about Mitt Romney's Olympic feats and political record that was not right, and too right, for me. This year, this "rock the ballot" post comes from a first-time early voter, eager to explain more than 24 years of #ImWithHer support for Hillary Clinton. Somewhere along the way, maybe in the late 1990's, someone (perhaps a character in a film, or a political science professor or friend) suggested folks "should never vote for someone they have not met." This struck me for options are generally very limited for plain folks to shake hands with every candidate, especially at The White House level. 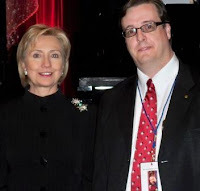 Good timing and good fortune afforded me not one by three personal interactions with Candidate Clinton, starting on October 30, 1992, when the future first lady Hillary stopped by my alma matter Mankato State University with Minnesota-born former Vice President Walter Mondale. 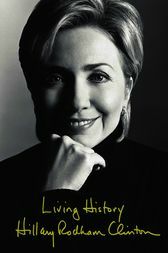 Several thousand fellow students and I listened with interest to Mrs. Clinton in a gymnasium. As inspiring and forward-thinking as she projected to the crowd, my vote went to Ross Perot in what was my first election experience. During Hillary's remarks, my friends Susan Sorenson and Heather White joined me in making our way to the stage, where we attempted a film "selfie" decades before pointing a camera at one's self earned that nickname. 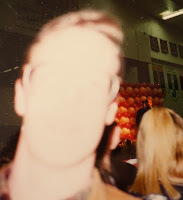 If memory serves me, Susan got a high-five from Hillary while I attempted a close-up photo gone bad. Flash forward to winter 1993. Working to make good on their healthcare reform promises, both President and Mrs. Clinton made numerous return trips to Minnesota (then a model state for their ideas), and this guy was on the healthcare beat for the MSU Reporter newspaper. No photos this time. Instead, my Hillary interaction came in the form of chasing her motorcade all over the Twin Cities, eventually earning a handshake after her appearance on KTSP-TV (my first time donning a press pass). She answered my question about healthcare, leaving me happy and impressed with her plans. Unfortunately, those plans did not come to pass and we had to wait two decades for healthcare reform. 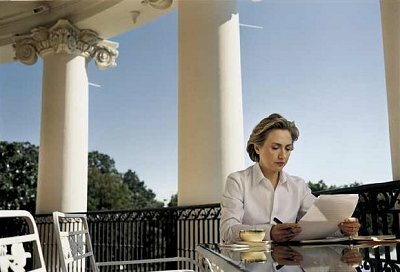 I did not have another opportunity to speak to Mrs. Clinton for nearly 20 years, but over time, her actions started to impress me. In 1995, she was graceful as First Lady helping the bereaved at the Oklahoma City bombing memorial service. 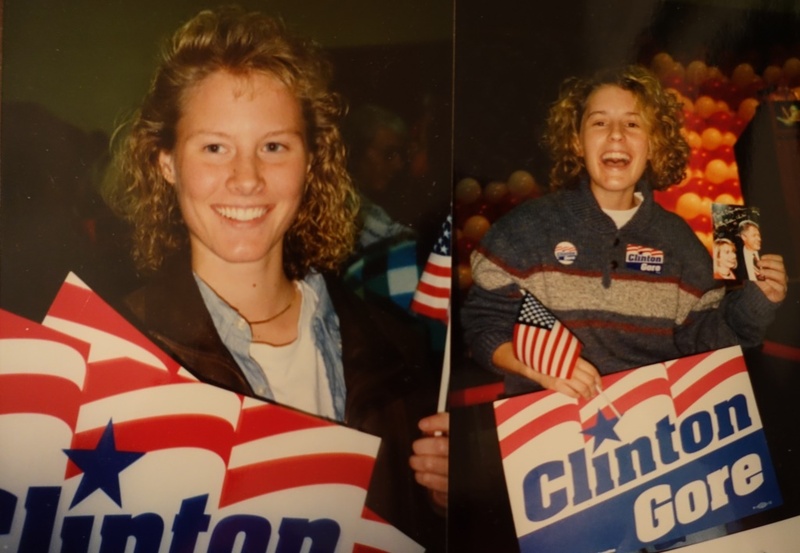 In 1996, her motorcade passed my assigned zone at the Atlanta Olympic Village, and we saw her (on TV) in the neighboring Olympic Aquatic Center cheering on Team USA (sadly, she had more post-bombing duties in Georgia as well). 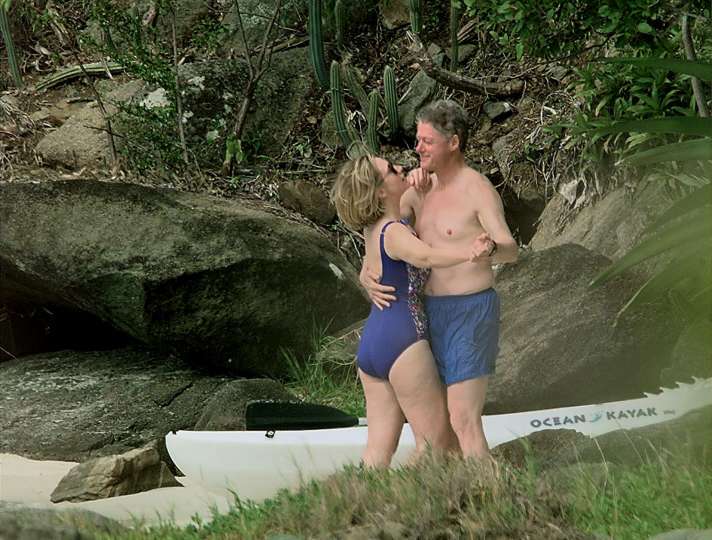 One of the most interesting photos of Hillary was published just a few days before news about Monica Lewinsky started -- the Clintons appeared dancing in a candid beach vacation photo, and the famous "Tammy Wynette" interview of 1992 seemed like ancient history for about a week. If folks asked me in 2000 whether the Clintons would remain married after the Gore:Bush election, my response generally was "no." 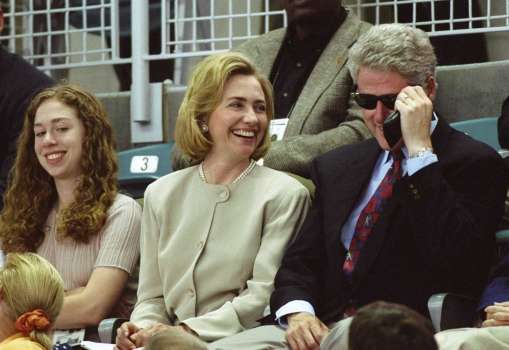 As soon as the 1998-99 impeachment process played out, the dust settled, and Hillary announced her run for U.S. Senate, my knee-jerk reaction was that's why they're still married ... she is going to run for president someday. Listening to her Grammy-nominated audiobook for "Living History" reinforced these notions. Sure enough, she did. We all know how that panned out, with her eventual appointment to Secretary of State. I financially supported Mrs. Clinton's run with a modest donation in 2008, only to feel like it jinxed her run! Which brings me to my most recent interaction with Mrs. Clinton. As noted on this blog post from the eve of Barack Obama's first inauguration, Hillary received honors from The King Center in Atlanta, and during remarks that evening, several speakers seemed to wish for and predict a Clinton For President run in 2016. Hearing the likes of the King Family, Ambassador Andrew Young and others praising Clinton sold me again on supporting her, and I have not looked back since. No Bernie for this guy. The recent screening of "Michael Moore In Trumpland" only reinforced my perspective: Hillary will make a great 45th president. Now, some may ask, what about her opponent? 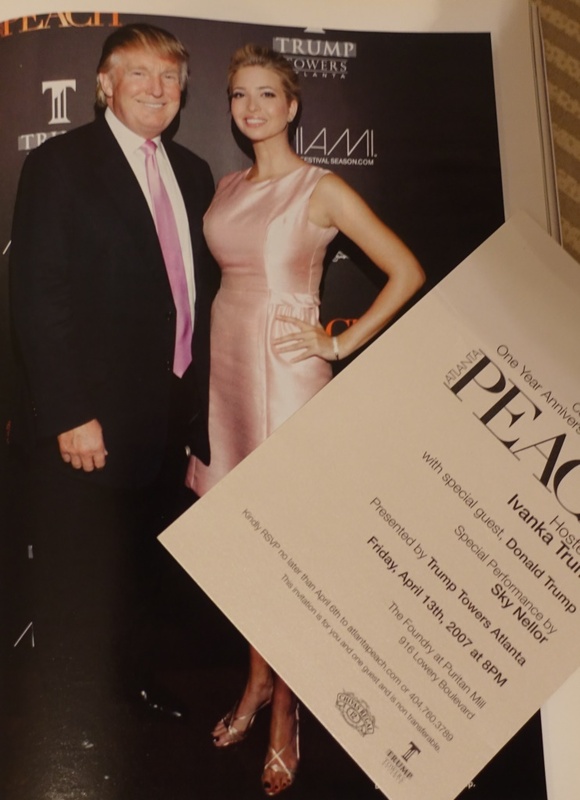 I indirectly met Donald Trump as well when a handful of Edelman colleagues invited me to tag along for a Trump real estate event in Atlanta during early 2007. Most of my interaction was with his very smart, friendly and business savvy daughter, Ivanka -- I dig her. Donald was not shaking hands with anyone except potential investors, however, so the closest we got was 10 feet or so, but that was enough for me to surmise what was already my POV from his early days on "The Apprentice." To wit: He was, and remains, pompous. That's obviously putting it lightly given the candidate's ever-growing list of crud. 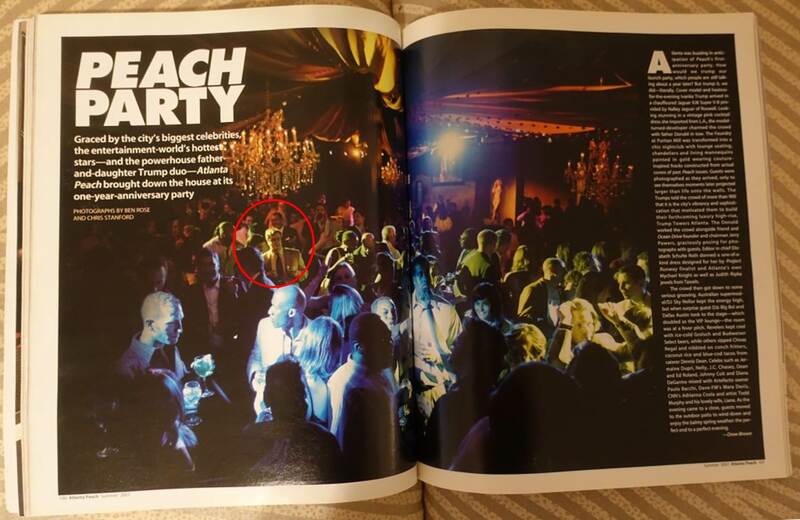 The whole scene with Ivanka, Donald, colleagues and I later appeared in the then-glamorous/now-defunct Peach Magazine (that's me with Ivanka and Donald to the left). Like the magazine, Trump Atlanta plans vaporized once autumn 2008 rolled around, and I don't think the city saw Mr. Trump again until early this year on an election stopover. My views on innumerable issues match closely with Hillary's. I voted for her, and think you should, too. Indulging in one Clinton political fantasy, imagine in Hillary's victory speech her announcement that after all the years of Bill's shenanigans, as part of her acceptance she's decided to announce her intention to divorce (haha -- no more worry over what title to give Bill in office). Photos by Nicholas Wolaver except where noted; topmost image by Annie Leibovitz.